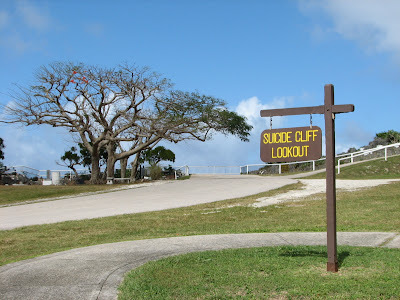 The Chamorro name for Suicide Cliff is Laderan Banadero. 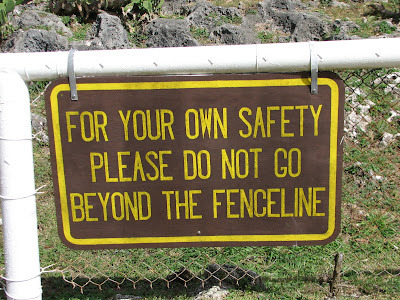 It is on the north end of Saipan. There are two ways to get to the top: you can drive your way to the top or you can hike from the Last Command Post. 99.9% of the people that visit Laderan Banadero drive to the top. Only the adventurous attempt the hike...or the people that are told about it. Most people don't even know that there is a trail. The Laderan Banadero Trail stretches from right behind the Korean Peace Memorial on the bottom to the top of the cliff. You can start at either the top or the bottom and you can make a round trip or have someone pick you up on the other side. Depending on how fast you hike, it will take you between 30-45 minutes each way. It is a little steep at times, but the trail is short enough that a round trip hike won't kill you. 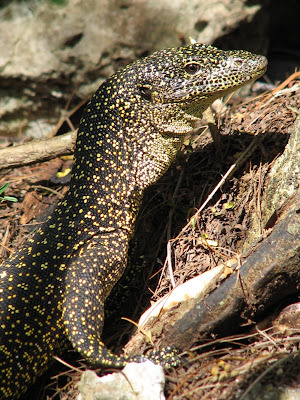 Although rare, you will occasionally come across a mangrove monitor lizard or a coconut crab. You can expect to see most of Saipan's forest bird species and once on top of the cliff, you can expect to see seabirds flying below you. You walk through several different ecosystems. 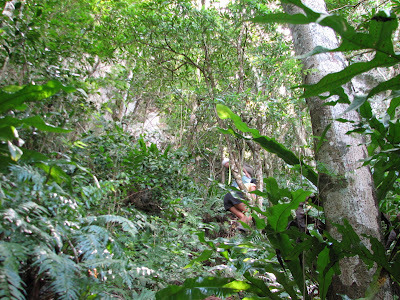 The top of the cliff is a tangan tangan forest. During the dry season it looks almost dead, but during the green season it is lush. 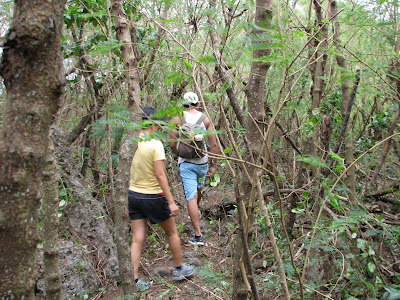 The flora in the center part of the trail is much more diverse. 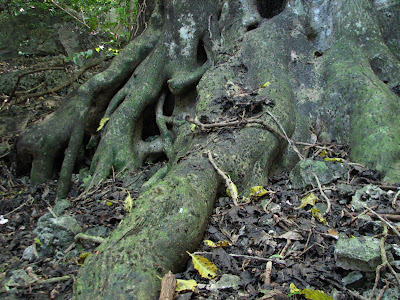 There are some beautiful banyan trees and coral trees along the trail as well as ferns, orchids, vines, and lianas. The trail is very rough and there are a lot of sharp rocks. Long pants and hiking shoes are a good idea. You should bring plenty of water, too.